Does anyone know how to edit a hole pattern in an assembly? I screwed up in the placement of the holes and cannot get back into the pattern to correct it. The end goal is to use screws/bolts to hold the assembly together and do a simulation using loads to see how the design holds up. If anybody knows of ways to do this, please let me know. Right click and Edit or Edit Definition on the pattern. If you need to correct the original hole, expand the pattern and Edit definition on the hole below the pattern. 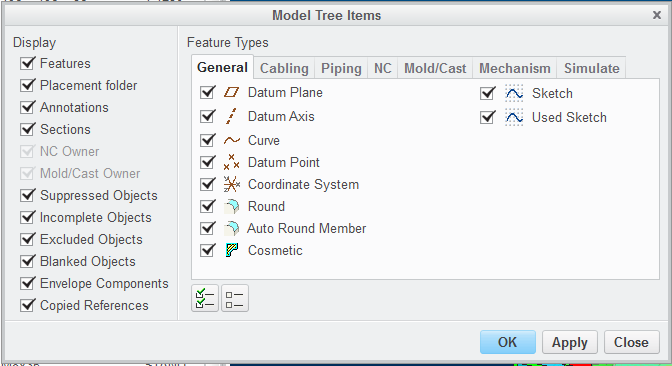 The pattern does not appear in the model tree for the bolt holes. Any ideal where it might be? The pattern may have been included in as subsequent group. It is not subgrouped either. is the pattern created at assembly level? Could your problem be something to do with intersected models? Hi, sometimes people have in tree settings the features unmarked. It could be but I have no idea how to locate and correct it? I am getting a "rebuild error" though. I am going to verify this and see what happens.